This is the worst tornado outbreak (in regards to the death toll) since 1974 when a Super Tornado Outbreak occurred and more than 300 people died. 164 tornado reports and counting from Mississippi to New York. More than 200 dead from MS, AL, GA, TN and VA. So far the worst damage was in Alabama where at least 128 people died. Early estimates for Tuscaloosa, Alabama: could have been a EF-4 tornado with winds near 167 to 200 mph. 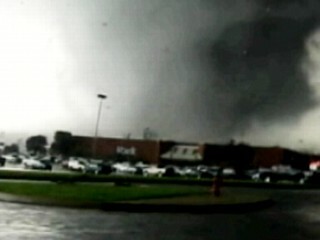 This tornado was on the ground for a possible 176 miles. The National Weather Service will go today to estimate the damage and see how high the winds were and how long the path was. Today storms in: Tallahassee, Jacksonville, Raleigh, Washington DC, Philadelphia and NYC. You can share this article on facebook and leave your comments below.